The Home Repair Program offered by Housing Assistance provides home repairs for people of low income in Henderson County. The program is administered by the Housing Assistance Corporation in partnership with other service providers. In 2016, Housing Assistance was able to serve 89 homeowners and make 282 repairs. What types of repairs does the program offer? The repairs are completed by a combination of Housing Assistance staff, volunteers, and paid subcontractors. Who is eligible for home repairs? You live in the home for which you are requesting repairs and own no other. The household gross annual income does not exceed 50% of the areas median income. You have no other source or means to pay for repairs. Veterans providing a DD Form 214. There is no mandatory cost to the homeowner to participate in the Home Repair Program. However, if you are able to contribute funds to help pay for materials or labor, your voluntary contribution will be greatly appreciated. 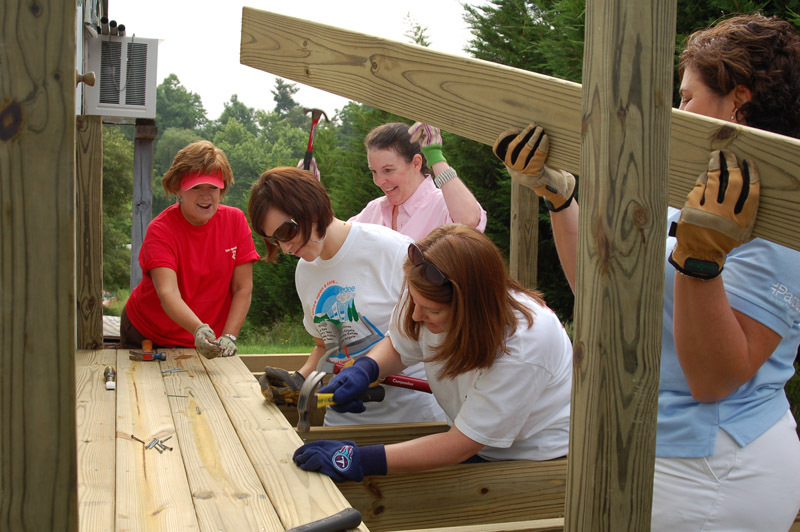 Your monetary contribution will help stretch the Home Repair Program dollars so more home can be repaired. You need a notarized letter from the lot owner giving permission to perform tasks that might impact their property, such as building a ramp. The letter also needs to state the location of septic or utility lines. The Housing Assistance Corporation is an outside loan application packager for the USDA Single Family Housing Repair Loans and Grants. 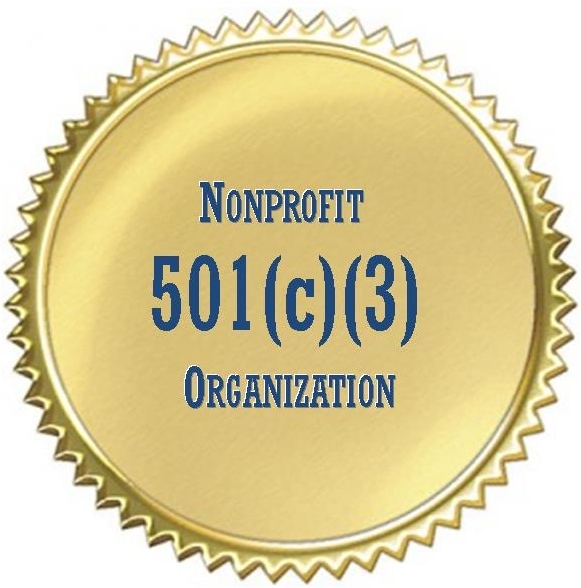 Also known as the Section 504 Home Repair program, this provides loans to very low income homeowners to repair, improve, or modernize their homes. Grants are available to elderly very low income homeowners to remove health and safety hazards. What are the terms of the loan and grant offered by the Section 504 Home Repair program? To receive more information about the home repair program through Housing Assistance or USDA , use the form to the right or contact us at (828) 692-4744. You can also download the form and bring it to our office during business hours. In order to qualify for the program, you must own a home, you must meet the income requirements, and the repairs requested must be a health or safety hazard. 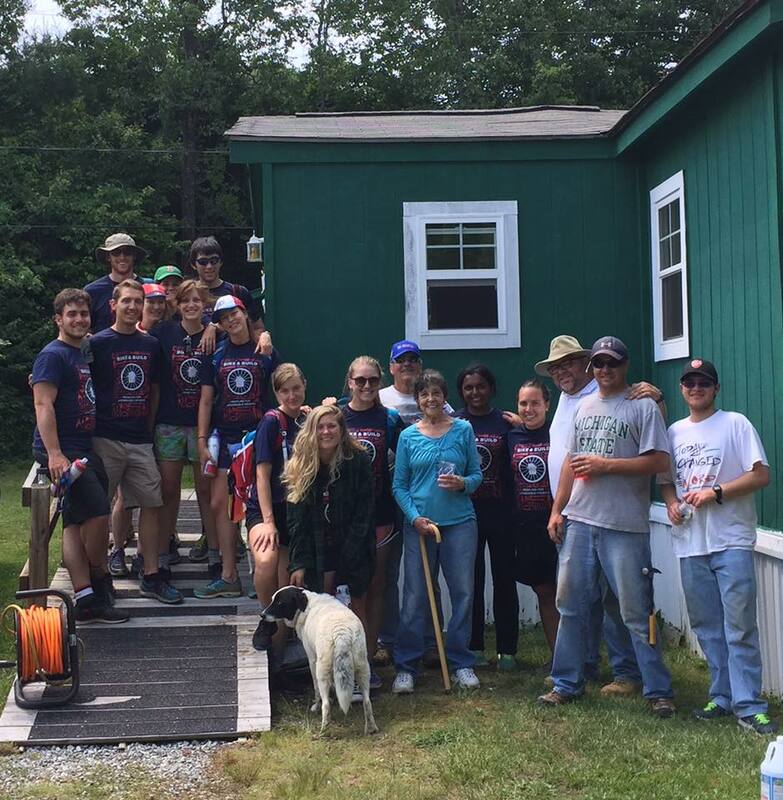 With the help of the construction supervisor and volunteers, this home now has a new ramp! 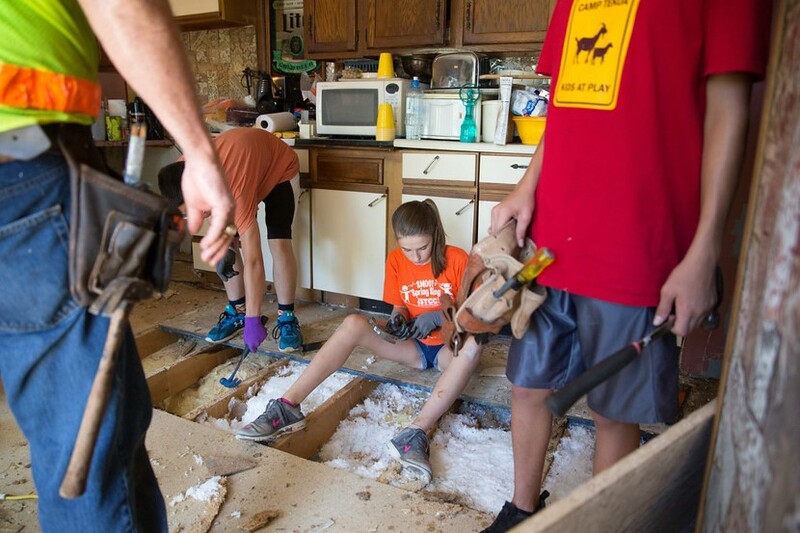 Volunteers helping to repair a kitchen floor. 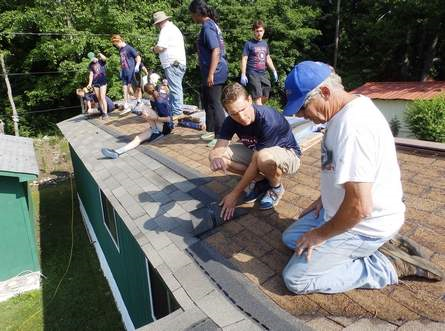 2016 Bike and Build group helping fix a roof alongside our construction crew.